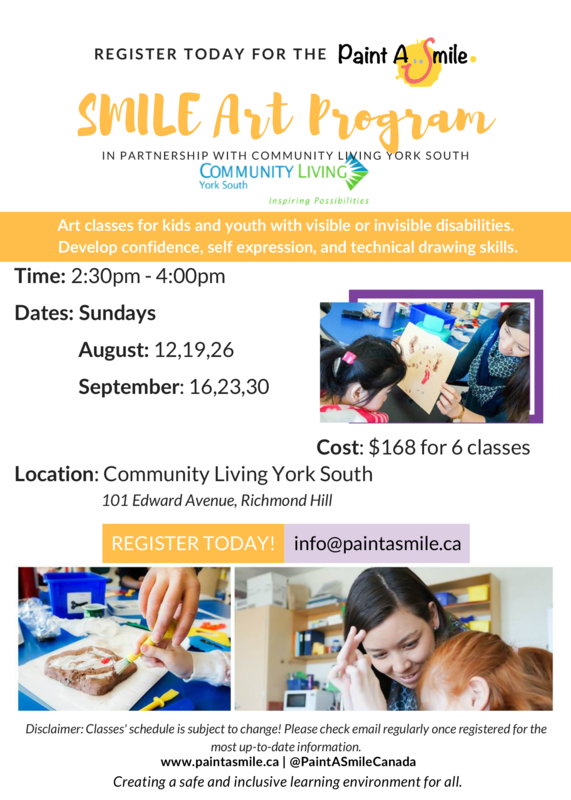 "Paint a Smile is hosting another 6-week Program this time in collaboration with Community Living York South. Our program aims to help children and youth with visible and invisible disabilities develop confidence, self-expression, and improve technical drawing and art skills. Starting August 12 from 2:30 - 4:00 pm, 224$ for 8 classes.